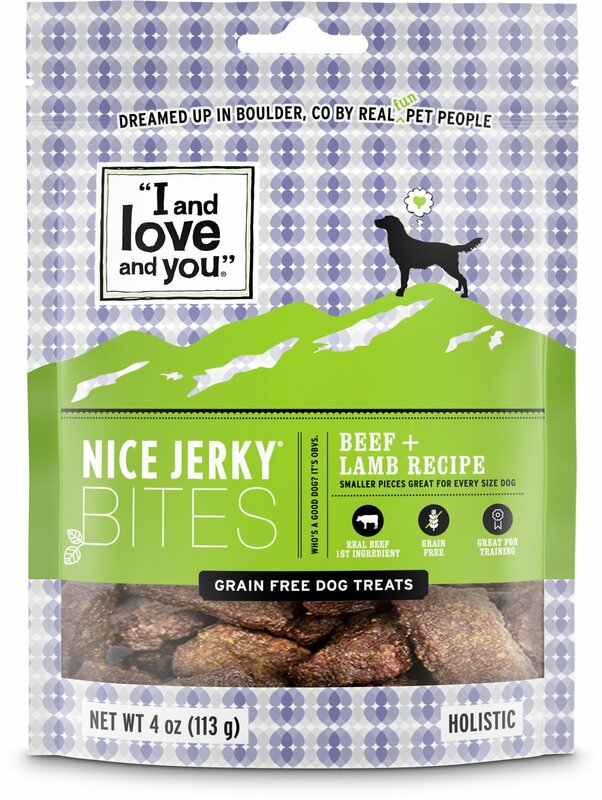 I and Love and You lets you treat your pup to even more delicious treats with their bite-size Nice Jerky Bites Beef & Lamb Grain-Free Dog Treats. 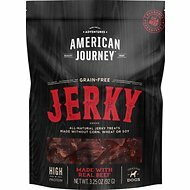 These natural jerky snacks contain 95% meat with real beef as the first ingredient, followed by mouthwatering lamb infused with a natural smoke flavor. There’s no room for grain or fillers in this short list of ingredients. I and Love and You promises that you won’t find anything weird or artificial in this healthy, high-protein treat, so they never include additives, fillers, by-products, corn, wheat, soy, rice or artificial preservatives, colors or flavors. The tender, chewy bites are perfect for any size dog and small enough for regular treating to satisfy your whole pack. Plus, they're lovingly made in the USA with hand-picked ingredients. 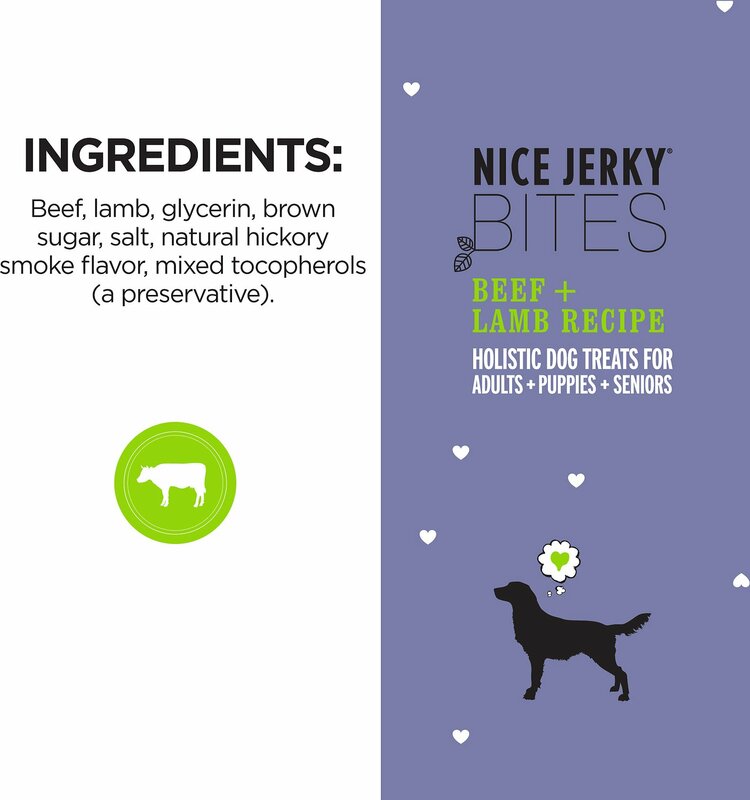 Grain-free treats made with beef as the first ingredient with natural lamb. Made with 95% all-natural meat so they’re part of a healthy, high-protein diet. Tender and chewy treats are perfectly bite-sized so they’re great for dogs of all sizes. 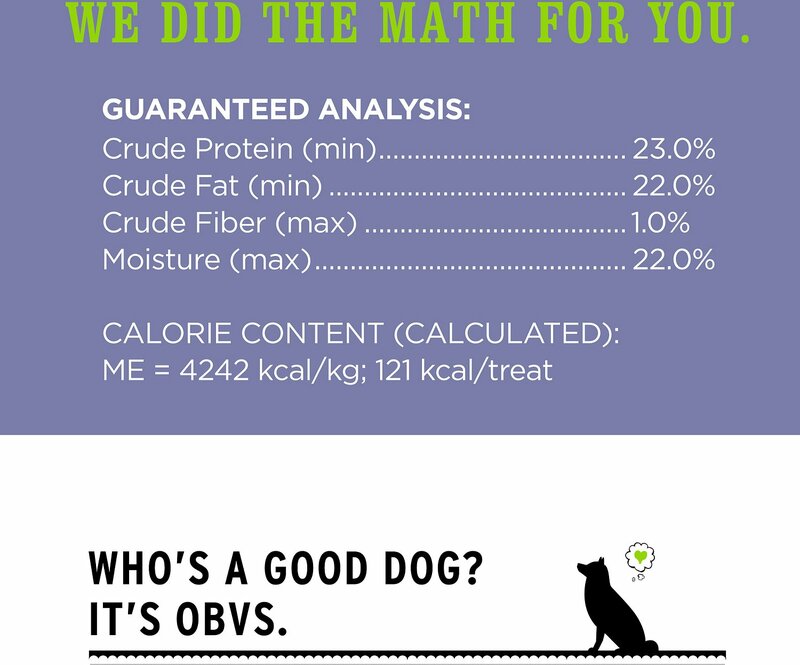 Perfect for training or anytime your pal deserves a tasty, healthy, all-natural treat. Lovingly made in the USA with never any fillers, grains, or artificial flavors, colors or preservatives. Beef, Lamb, Glycerin, Brown Sugar, Salt, Natural Smoke Flavor, Mixed Tocopherols (A Natural Preservative). 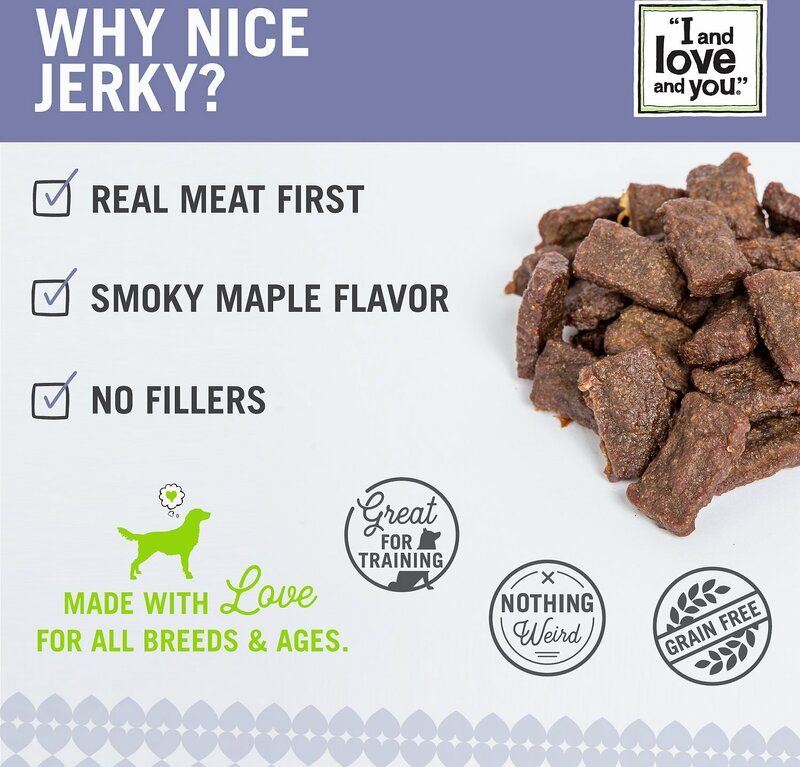 Feed nice jerky bites as a treat, training aid, or reward for your dog. Feed a whole piece or break into half or bite sized pieces. Our dog has separation anxiety and when he's nervous he won't eat anything... except these treats! He loves them. We break them in half to make them last longer too. My dog lives for these treats. He loves lamb and duck so I get him both kinds. Many other trests upset his tummy but these seem to work very well for him. I thought that this treat would be a nice addition to the furbabies autoship. None of the furbabies like these. I would not say that these are bad treats just not what they will eat. I do not know if it is the size or texture but they are not for these picky furbabies. My little 11pound Bichon will do almost anything for this treat. They are soft enough to cut into many little pieces for training. Tried these out and they turned out to be a great training treat. 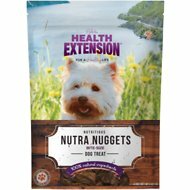 They were easy to break up in to smaller pieces, did not harden or crumble apart in my treat bag and all the dogs seemed to love them. 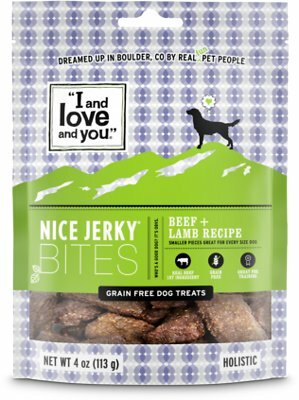 Soft, chewy treats that my dogs love. I don't like to feed them actual jerky or raw hides. These are perfect! I am very happy with I and Love and You. Ben loves it and I know it was created in the US. My dog is little, so the price doesn't seem bad at all. He loves many of the products and he can be fussy. My two Miniature Schnauzers love these treats. They are rewarded after returning home from their walks. I also break them into smaller pieces and add them to their food. They stay moist in their resealable bags and are easily broken down. 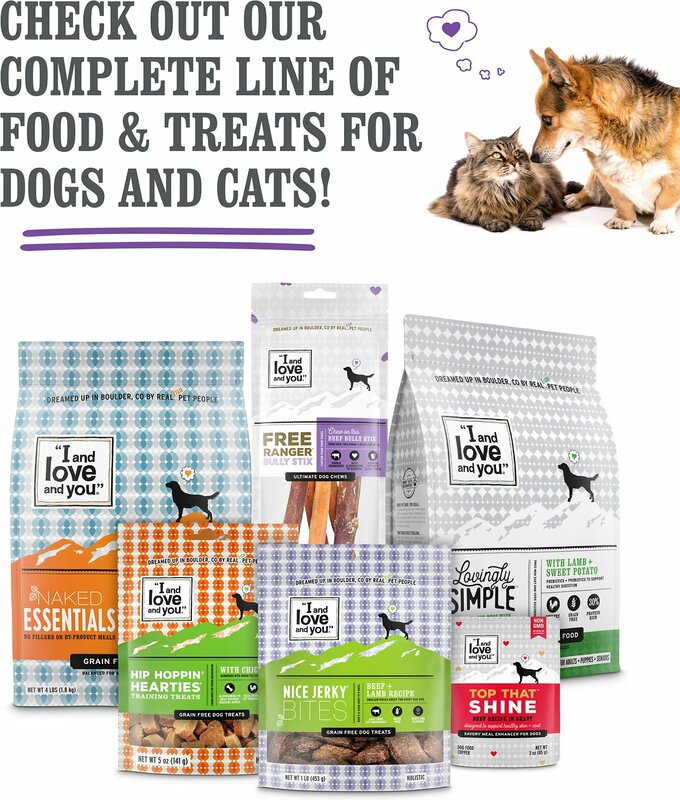 I and Love and You are the very best food and treats that i have ever given to my pups.they are rated 5 out of 5 stars on pet food advisor and my dogs absolutely LOVE everything that i give them from this company. 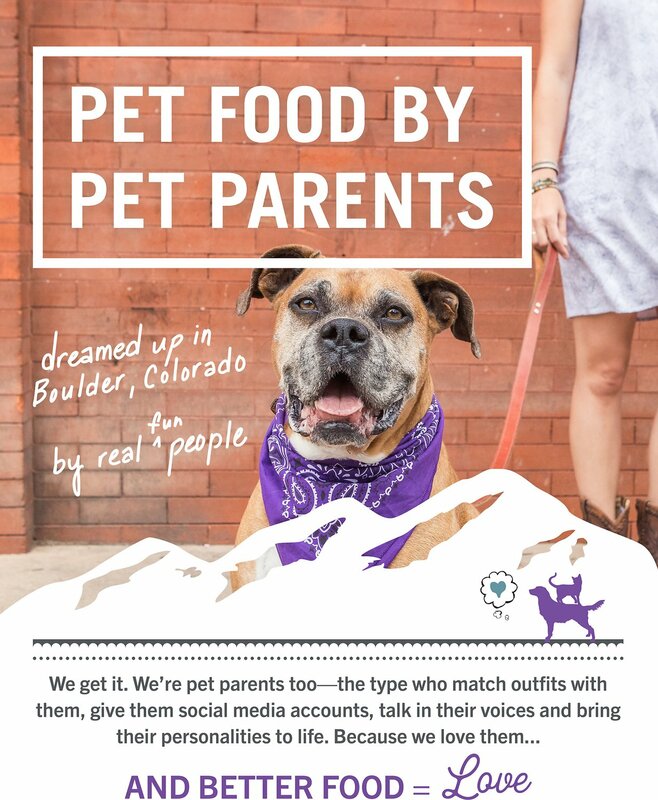 Thank you CHEWY for always giving pet moms and dads the very best choices for our pups!! Quality of these treats seems very good. They smell like human grade jerky. My only complaint is that they are a little greasy. I like a treat I can put in my pocket and go for a hike. I wouldn't put these in my pocket, too oily. We've been buying Zukes PureNZ's which I love, but thought we'd try these since they were cheaper. We will be going back to the Zukes PureNZ's for our dogs jerky fix.